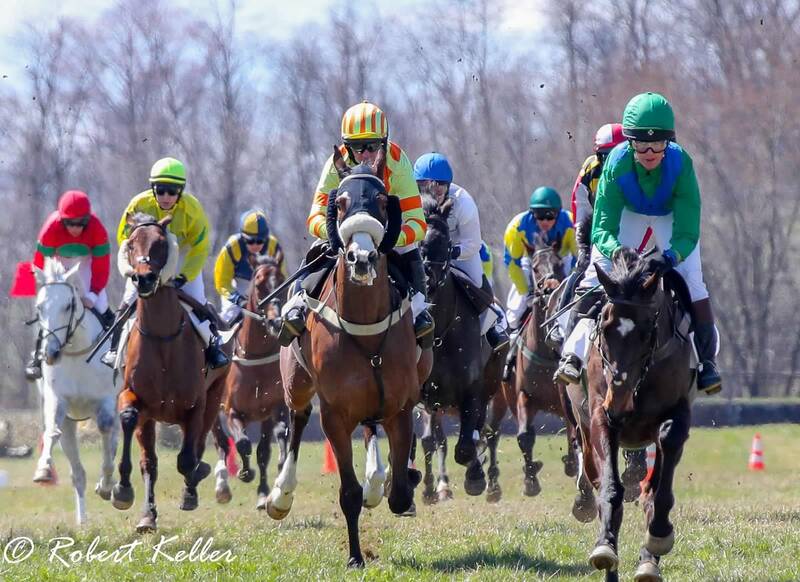 Maryland steeplechasing opened on Sunday, March 31 at Shawan Downs signaling the start of the 2019 Governor’s Cup Series. The Green Spring Valley Point-to-Point was run on a Sunday instead of its usual Saturday date to attract more entries and it did just that. Some course adjustments were made to avoid the soft ground but the sun came out as pony, timber, sidesaddle, and flat races commenced. EHM Stables had a very successful day in the pony races winning the Large Pony Flat Race and multiple divisions of the Junior Field Master’s Chase. Charlie Marquez picked up two victories on Charmed and Mast Strike, Maddie Rowland had a win on Bailey, and James Wyatt and Thumper brought home a win for EHM as well. 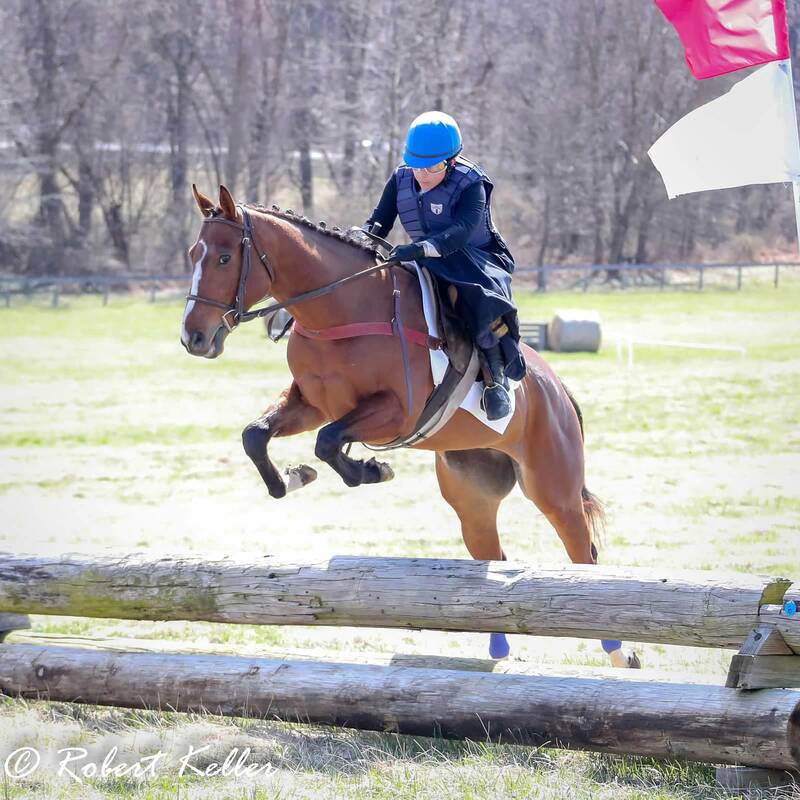 Sophie O’Brien rode her own pony, Blue to win the small pony division of the Junior Field Master’s Chase. Boogie Biz and Mark Beecher in the Heavyweight Timber Race. The timber races started off with Happenstance and Michael Beecher’s Boogie Biz winning the Worthington Bowl Heavyweight Timber. Boogie Biz, trained and ridden by Mark Beecher, was last year’s runner up in the Open Timber Race. 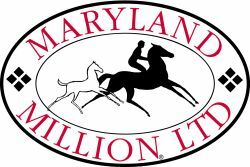 Additionally, three Maryland Hunt Cup nominees ran in the race: Class Indian, Sovereign Fund, and Drift Society finishing 2nd, 3rd, and 4th respectively. Political Theatre and Hadden Frost land a fence ahead of Schoodic (L) and Lambeau Field (R). The Daniel Baugh Brewster Memorial was a Novice Timber Race with eight runners. Jack Fisher trained Political Theatre won by half a length with Hadden Frost in the irons. 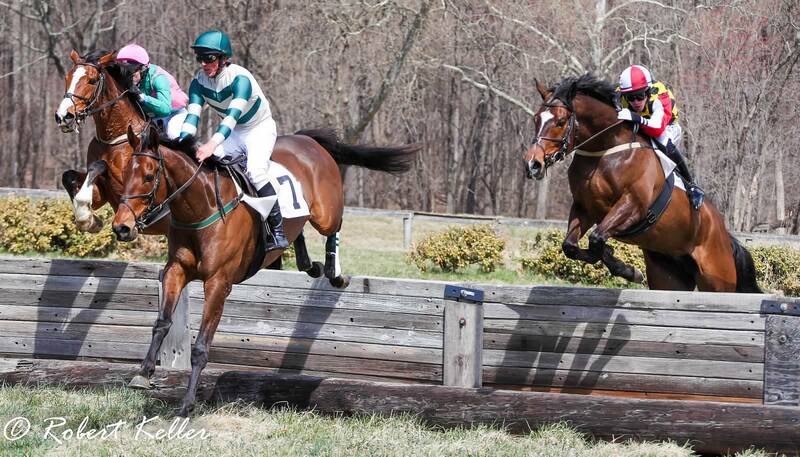 The feature race of the day, the Green Spring Valley Hunt Cup Frank A. Bonsal Memorial Open Timber, gave Mark Beecher his second win of the day, this time on Upland Partners’ Mystic Strike, trained by Todd McKenna. Morningstar Farm’s Carrickboy, trained by Ricky Hendriks and ridden by Jack Doyle, was second by a neck. Mystic Strike was nominated for the $50,000 My Lady’s Manor to be run on Saturday, April 13. Mystic Strike and Mark Beecher gallop to the wire ahead of Carrickboy and Jack Doyle. Mark Beecher’s win total came to three when he won on Patricia L. Bosley’s Tap the Moment in the Stoneworth Farm Training Flat Race, also trained by Beecher. Bruton Street-US owned Leopald won the second division of the Training Flat Race for trainer William Dowling and jockey Jack Doyle. Andi’Amu and James Slater (center, yellow/orange silks) gallop close to the pace the first time under the wire. The Amateur Flat Race, a two mile race, attracted twelve entries but proved to be an easy victory for Andi’amu, owned by Ballybristol Farm, LLC, trained by Leslie Young, and ridden by James Slater. The French gelding drew away to an eight-length victory after setting the pace for most of the race. This was also his first run since being laid up with an injury from last May. 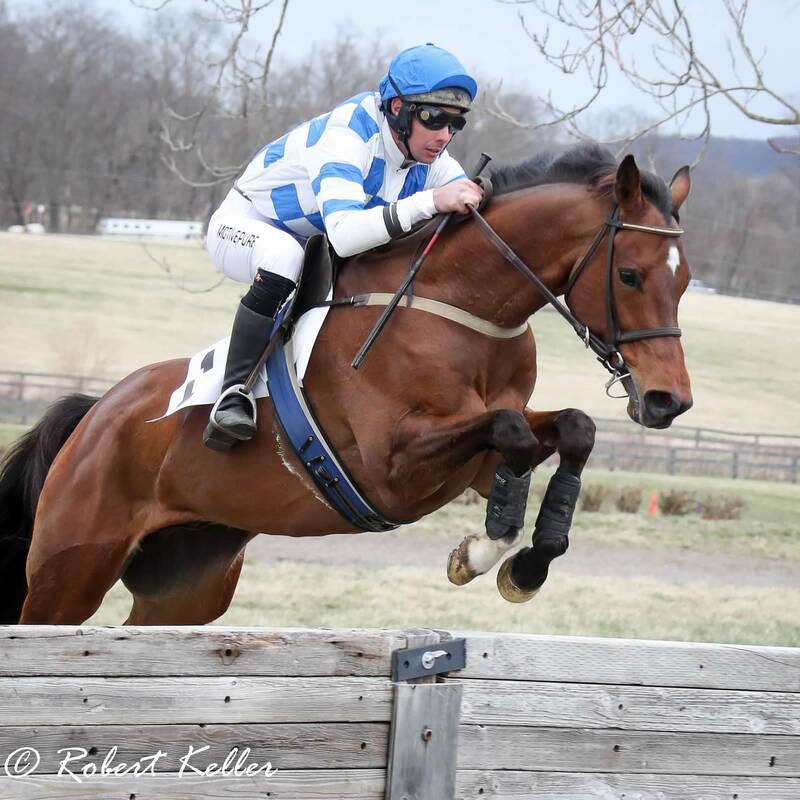 Julie Nafe and Gun Lobby impressively jump a fence before going on to win the Side Saddle Field Master’s Chase. Always a popular race, the Grace Miller Whedbee Memorial, had four entries. This was a Side Saddle Field Master’s Chase and it was won by Julie Nafe and Gun Lobby. National Steeplechase Champion Trainer Jack Fisher ran sixteen horses at the point-to-point including top timber horses Doc Cebu and Lemony Bay, both nominated for the My Lady’s Manor Timber Stakes and Two’s Company, who will likely be running in timber stakes later in the season. Making his return after missing last year was 2017 Eclipse Award winner Scorpiancer. 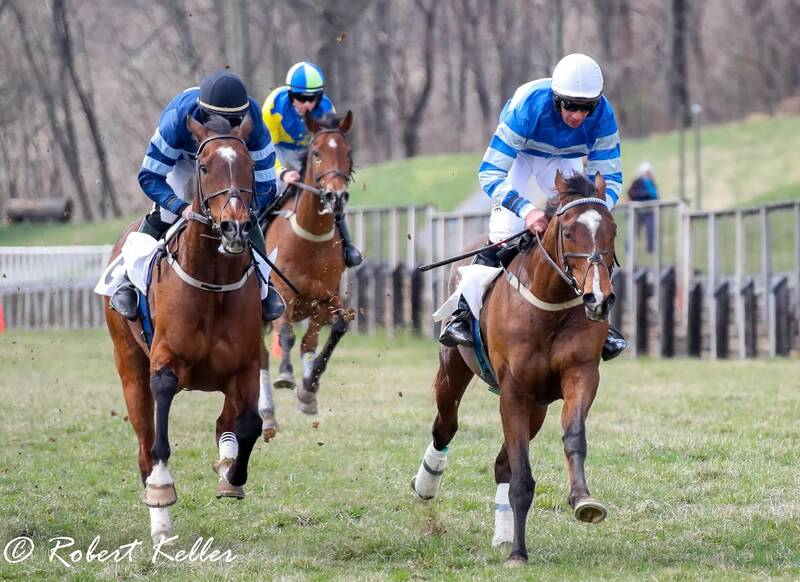 Another notable entry was William Dowling trained Katnap, winner of two Steeplethon races last fall and another My Lady’s Manor nominee. Make sure to keep an eye out for these names in the coming weeks! For all of Robert Keller’s photos click here.